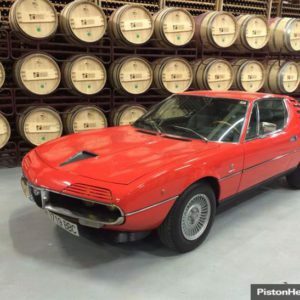 Our classifieds pick of the day is a rare and interesting Mazda SVA 1800 Bertone. With the success of Toyota, Honda and Nissan, Mazda have always suffered slightly in the shadow of their larger rivals making their cars a relatively uncommon sight on UK roads (compared to the their Japanese brethren). Designed by the great Giorgetto Giugiaro whilst working for Bertone, the Mazda SVA or Luce as it was a called in Japan, first entered production in 1966, debuting with a 1490cc engine. It was introduced to compete with the Nissan Cedric and Toyota Corona and stayed in production until 1973. In 1968 the rather sluggish 1490cc engine was replaced with a more powerful 1796cc engine boosting power from 78BHP to 104BHP. Both engines were of the 4 cylinder SOHC variety with power being sent to the rear wheels. Most were fitted with a 4 speed gearbox though most American market models received a performance curbing 3 speed automatic. This lack of performance lead to poor sales in the US, however it did prove popular in Australia but very few made it to the UK. The model on offer was built in Hiroshima in 1971 and sold new to a Swiss family in 1972 where it was serviced by main Mazda dealership. It was exported to the UK later in its life where it received a respray in it’s original red. Apart from the respray the car is said to be in original condition with no rust or welding repairs of any kind. The interior still has it’s original seats and even the sun visors retain their protective plastic covers from the factory which is a nice touch. The rear window still has the Mazda sticker in the rear window which further proves that this is a rare survivor. The engine bay looks clean and original and you can see why the bonnet has it’s power pulge thanks to the positioning of the air intake pipe. The photographs indicate that this is a single carb engine as well. In researching this car we found that it was sold at Brightwells Auctions in September 2014 for £5,000 with the description providing much more details than the current seller. Brightwells stated that this SVA 1800 retained it’s original handbook, service book, original Mazda jack and wheel brace, red triangle, first aid kit, and Mazda torch in the glovebox which was apparently still working at the time of the auction. Both the auction listing and the current sellers listing state that the car has 71,000 miles so we expect it has been driven little since it’s last purchase. At a glance the Mazda SVA 1800 Bertone is a puzzling car because it really doesn’t look like a Mazda. There are hints of Lancia Fulvia around the front twin headlight design and the rear boot looks exactly like a BMW 2000CS. Giugiaro actually designed the BMW 2000CS so you can see where the influence originates. With it’s mix of European styling and Japanese engineering, this is a very interesting and rare car. We love the small power bulge on the bonnet which seems at odds with the rest of the cars style. There are nice touches with the twin headlights and the chrome grill. We also love how the wipers operate from the centre outwards making it different to the norm on most other cars. With the 1500 SS model originally having twin carbs, we wonder if there’s scope to give this 1800 a mild tune up to twin carbs. Apart from that we would keep this original Japanese motor as stock as possible and take it to as many shows as possible. We really like the fact that this Mazda is so rare, especially in the UK. You will be guaranteed to be the only Mazda SVA 1800 at any show and it will be a real talking point with enthusiasts as they try to work out what it is. It would make a great addition to any collection. 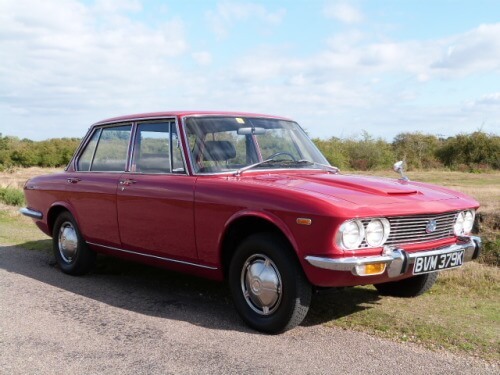 This Mazda SVA 1800 Bertone is for sale from South Norfolk Classics and more details can be found here. Asking price is £7,650. 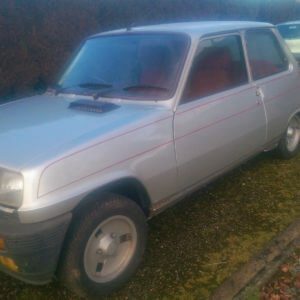 However we have found the car listed here on eBay with the same seller for £5,995. We’d take the lower price option! More details from the Brightwells September 2014 auction can be found here.